At World Packaging, we have over 50 years of packaging experience, catering to the industrial product market place. 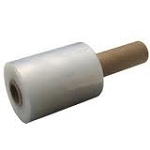 We offer numerous solutions and topnotch packaging, shipping and janitorial products, including stretch wrap film. 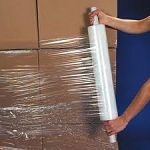 Stretch wrap film is frequently used to unitize pallet loads or hold numerous boxes together on a pallet for transport. Pulled around the load and stretched, it has an elastic band effect that allows it to return to its original size. This effect holds the load tight, thus keeping cargo safe and in one place in transit. Blown, where the resin is melted and blown out then air-cooled. This process is slower, but results in film of a higher quality. This also costs more to produce because of the quantity that can be produced per hour. Cast, where the film is passed over cooling rollers, which considerably speeds up the cooling process. It costs less to produce than blown ones, because the film can be made in multiple layers. The layers allow the film to be made with cling properties on one side, which is perfect if you don’t want one pallet to stick to the one next to it. The layers also make the film stronger with the addition of tough layers on the inside. Ensuring that cartons stay on the pallet is extremely important in warehouse distribution, especially when there is a demand for increased production. Stretch wrapping is the most affordable and most effective way to ensure that your loads are secure on a pallet. Contact us today to learn more about our extensive packaging solutions.